Wigan Council’s masterplan for the town centre, including the redevelopment of The Galleries, the creation of small business hubs, and building new homes, is set to be given the go ahead this week. Working with a team of Deloitte and Gleave 23, the council has identified a series of short-term and long-term schemes to boost development in the town centre, including retail, residential, and offices, as well as improved public realm and better links between the town’s railway stations. For offices, the council is exploring options for Grade A accommodation around its railway stations, ahead of the potential arrival of HS2. The council is also looking to use existing buildings to provide larger floor plates of around 8,000 sq ft for established SMEs, alongside smaller offices of around 2,000-3,000 sq ft for start-ups. After purchasing The Galleries, the 440,000 sq ft shopping centre in the retail core, last year, the council is now looking at options, which will be decided on later this year. A development brief is being prepared for the Galleries, including the town’s market hall, with a partner to be selected to bring forward a major redevelopment. The council has also identified the need for more hotel accommodation within the town centre. A £60m overhaul of The Galleries, pictured below, which proposed turning the centre’s 150 separate units into 26 larger shops to attract restaurant operators and a cinema, was approved in 2015 but the plans were never progressed. The 1980s shopping centre covers a six-acre plot in the middle of Wigan. As well as the leisure offering, the council is also considering further options such as partnering with a higher education or university provider to establish a campus in the town centre. There are also plans to enhance the town centre’s residential offering, likely brought forward by the council with a strategic partner, following the success of Gleeson Homes’ scheme at Frog Lane. Many of these short-term interventions will be carried out over the next two years, ahead of longer-term objectives coming on stream at a later date. The council is set to endorse the strategic framework for the town centre at a meeting on 24 January. Cllr David Molyneux, leader of Wigan Council, said: “This plan is an important step in defining a new future for Wigan town centre. “It is a blueprint for our aspirations but also an honest assessment of what we need to do to get there. There is currently an oversupply of retail space and the council needs to act to develop a new offer to attract visitors such as culture, leisure, employment and residential uses. “It is clear the Wigan town centre of the future will be a very different place to what it is now, and this plan will enable that diverse offer to be delivered. HS2 is not guaranteed to benefit Wigan so why do our councillors keeping quoting it! This is great news for Wigan however in terms of bringing people to the centre it is a victim of its locality to Liverpool and Manchester. I have lived in Wigan since 1991 and seen quite a few changes to the town centre. As a non driver I was extremely disappointed when the Morrisons supermarket closed. It was convenient to get off the bus at the bus station walk across the road do my shopping in Morrisons and walk back and catch the bus home. Having a large town centre without a supermarket is absolutely ridiculous. Tesco’s is too far to walk to. 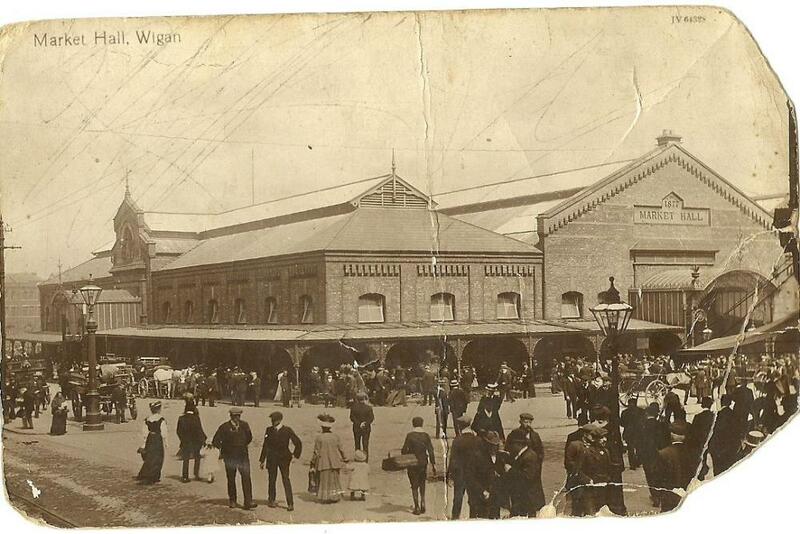 And now with the prospect of M&S closing in Wigan and only being available as a food hall at Robin Park. I feel Wigan is alienating the non drivers. If the council wants us to use these retail parks that are not serviced by public transport then I would suggest that they would look into running a free shuttle bus from the bus station to the likes of Tesco and Robin Retail Park, and a little bit further afield to Morrisons at Ince. I work in Stockport and there is a free shuttle bus service from the mainline station that services the town centre and it’s two supermarkets being ASDA and Tesco. I think the council is banking on HS2 too much to bring in “new blood” there are far too many vacant apartments already around Wigan Pier. I feel that there is way too much work to be done not just in Wigan Town Centre but Wigan Wallgate where the two stations are, it’s not exactly inviting. In fact it’s rather dull and drab. I have always felt that one of the major faults was closing the tourist information centre. I don’t even know whether Wigan still possesses one?!! I would like to see something for everyone in Wigan, whilst I’m not a pensioner I’m not a spring chicken either!! In conclusion I think Wigan Council should speak to its residents and ask them what they would like to see in their town and for once listen to them!! Why is HS2 portrayed as the ‘Saviour of the North’ ? Surely, it will only serve as a talent syphon from North to South ! By Tha knows: Exactly. HS2 is another arterial route into London. Period. I know this is not exactly economics but, I always think: if folk want to get to London sooner, why don’t the get up earlier, and catch an earlier train. By the way, an ex-Network Rail route planner wrote a detailed analysis of the Northern Hub a couple of years ago and gave the real reason for the Ordsall Chord. It was to free up the Piccadilly throat, as they call it. Now trains from Yorkshire can run into Victoria and around Manchester to the Airport without crossing the London lines, so now there are more London trains. The Oxford Station line is now full up. That is why the extra platform at Piccadilly was never going to be built, and has been quietly scrapped. They think they are smart, but all they are is sly. Northern Hub! What a lot of blabber that is. Those lines should have been electrified 50 years ago anyway. Just want to point out that it’s nice getting a new bus station but I’ve heard of another despicable scene of 4 youths aged around 14 intimidating a woman on her own. You have cameras everywhere so who’s watching them. Wigan need to do more they have transport police in train stations and this was only at 5.30 pm.